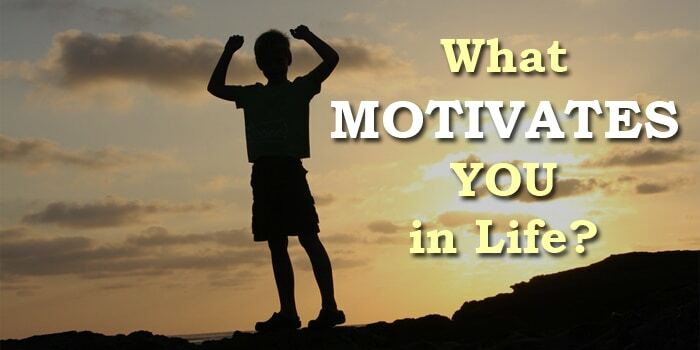 So what motivates you and what makes you wake up each morning? What drives you and why do you go through life each day? If you are just like every other ordinary people, you have no idea what motivates you. You do not know why you want to wake up each morning, and you do not know what you want to do with your life. Ordinary people wake up each morning because they have to go to work. And the reason they get to work is that they want to get paid. They want to pay their bills and expenses. In other words, they are working for the money. This is why when they have a choice; they choose to run away from their work. They will choose to sleep longer and sleep later when they do not have to report to the office. Most people spend a minimum of 8 hours a day into their work. And if you work because you want to make money to pay your bills, but you are not fulfilling your calling, you will never have the motivation in life. You will feel motivated when you chase your dreams and are fulfilling your destiny, not when you chase money. Money is the means to an end. Most people thought that all they want is money, but money is not the end product that they want. In fact, what we truly want are feelings. People want to drive a bigger and better car because they want to feel good and prestige. They want to look good, and they want to feel the sense of accomplishment. So what they want is not the money. They only need the money to buy the car that they desire. Therefore, if you chase money blindly, you may end up rich, but you may not feel fulfilled deep within. You do not want to end up wasting your life chasing for things that you don’t want. What you truly want should be deep within you. 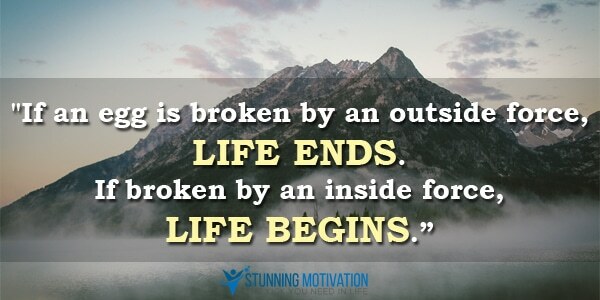 So motivation should come from within, not from outside. It is not the physical things or money that will motivate you; it is the feeling of ownership, the feeling of proud and the sense of accomplishment that drive you. Previously, in my article, I have mentioned and talked about the desire to avoid pain and to gain pleasure. Why do you do what you do in life? You do something because you want to gain pleasure or to avoid pain. Think about it, why do you read this right now? Maybe you want to avoid the pain you feel while working or you feel bored; that’s why you read this. Or perhaps you feel pleasurable reading this right now. You feel pleasurable and motivated when you read articles like this. Everything we do, we do because of these two forces, pain, and pleasure. When you see a beautiful lady, and you would like to make friends with her, what would you do? Would you dare to approach her? Or would you just do nothing? When the pleasure of getting to know someone is greater than the pain of getting rejected, you will go ahead and approach the lady. On the other hand, if the pain of being rejected is greater than the pleasure to know her, you will never approach her. That means, if you are not working on your dreams or taking action on your goals, it is simply because working on what you want is painful to you. If it is pleasurable, you would have done it already. People love to watch movies and surf Facebook; they feel pleasurable doing it, and that’s why they are doing it all the time. When you are not acting on your goals, and you procrastinate on your dreams, it is either the pain for taking action is greater than the pleasure of achieving them, or the pain of not achieving your goals is just not strong enough. A lot of people put off working on their goals. They feel pain taking action, and they feel pleasurable doing something else like watching TV. However, after some time, their pain of not accomplishing their goals will become greater, and that forces them into taking action. You know why some people put things off until the last minute now? Now that you know pain and pleasure are the two forces that make you do what you do. So how can you use it to motivate you in life? At this point, we already knew that what we truly want to accomplish in life always have something to do with our inner self. Do I need to say more? As I have explained above, most people thought that what they want in life are monies and the next shiny objects, but what they never realized is that the physical things that they want are just the means to an end. What they truly after is the feeling of owning the items. Thus, if you are chasing for money and the rewards, think twice. What do you truly want? Is it the money? Or is it the feeling? When you understand what you truly after, you will value the journey more. You will appreciate the progress and process more because those are what truly counts, not the end result. This is why people said that success is a journey, not a destination. It is your hard work and the effort that you poured in that make you who you are today. It is the journey that shapes you into the person you want to be, not the physical items. Money is just the reward you get when you win the game, but what makes you win the game is the progress. So focus on the progress and not the end result. What you have gone through is more important than what you have achieved in the end. Some people just cannot accept to be number two in their lives. They fight hard and they work hard because they hate to lose. People such as Donald Trump and Usain Bold are good examples. They just hate losing. Why do you think Muhammad Ali works so hard? This is because he desires to be the champion. And because their desire to be the best is so strong that they are willing to go all out and give all their best to achieve the number one status. They sacrifice their time and work hard every single day to become the best. Are you willing to do that? Are you willing to sacrifice your weekend or your nighttime to work on your dreams? Are you willing to wake up at 5am each morning so that you can have a head-start than others? Some people are motivated by helping others. They want to see changes in people’s lives and they want to fight for a better future for the world. These are philanthropists, and they are willing to give up a huge portion of their wealth to make the world a better place. In 2010, Bill Gates and Warren Buffett announced the Giving Pledge campaign to recruit and inspire wealthy people of the world to give a majority of their wealth to philanthropy. When they first launched the campaign, there are as much as 40 people joined the campaign and have pledged $125 billion for charity purposes. As of March 2016, the campaign has recruited 142 members. These are the people who are motivated and driven to help others and to make the world a better place. They are inspired to change other people’s lives. While not everyone is driven to help others, but if you are, it is good. You just need to understand what motivates you in life so that you can channel your energy through the right platform and achieve greater success in life. There is another group of people who are motivated by power and fame. Politicians are a great example here. These are the people who inspired to become the leader and they are driven to achieve greater power and fame in life. They want to lead and bring their company, their people and their nation to a greater height. What about you? Do you chase for power and fame? Do you start your business to achieve what you want or because you feel good in leading your team? You have to know what you truly desire deep within yourself. Recognition is another factor that makes certain people motivated. They want to prove that either they are right or someone is wrong. They want the recognition from themselves or others. Do you know how Lee Iacocca achieved his recognition through reviving Chrysler in the 80s? It is said that Ford Motors fired Lee and he felt so angry that he wanted to build a company to rival Ford. As a result, he joined Chrysler, which was in trouble at that time. Lee then leads Chrysler to become a great automobile company again. Although Chrysler went bankrupt in 2009, it has truly shown that Lee Iacocca’s drive for recognition and to prove himself was a strong force to achieving success in life. There was another similar story about Thomas Watson, who used to work for a company called NCR. Tom Watson was fired there and he wanted to prove his ex-company was wrong. After that, Tom Watson joined a smaller company called CTR and grew it to become what was known as IBM today. He has led IBM for 40 years and has turned it into one of the leading technology companies. So are you desire to be recognized? Do you want to prove yourself or prove that someone is wrong? The final factor that motivates most people in lives is passion. Why do you think all the successful people do what they do? Why do you think they are willing to wake up early and work harder than ordinary people? The answer is that they are passionate about what they do. Think about it, there are times when you feel so motivated for something that you are willing to sacrifice your leisure time for it. Maybe it is your favorite sport? Maybe it is when you got the chance to travel somewhere you love? Whatever the reason, I believe that you understand the power of passion. When you are so passionate about something, you will think about it all the time. You will be willing to wake up early and sacrifice your sleep for it. This is why passion is important because it can drive you each day to achieve what you want in life. Sadly, most people never develop their passion in their work. They work like a zombie without feeling any passion. They make sure they are not the first one to reach the office and not the last one to leave. No wonder most people are just plain ordinary. You are reading this because you want to be extraordinary and you want to accomplish great things in your life. So now you understand what motivates people to achieve what they want in life. You know why people do what they do and how you can make use of the power of pain and pleasure to drive yourself. What you can do right now is to identify what drives you. From the 6 factors above, which one do you think can drive you the most? Sometimes you may be driven by a few factors together, but there will be a dominant one. So find out the one that motivates you the most. And when you know what motivates you in life, all you need to do is to enhance the factor and create an intention for it. For example, if you are motivated because you want to prove yourself right, write it down and review it daily. You want to create a reminder for yourself so that you will be reminded by what motivates you. Steve Jobs used to have a portrait of Albert Einstein in his house. He wanted to remind himself of his vision and to use technology and design to change the world. Thus, whenever he saw the portrait and recalled his vision, he directs himself to the right path. You can do the same by creating the intention of what motivates you. What motivates you in life is something you need to discover if you want to achieve remarkable success. This is why Zig Ziglar said that motivation is like bathing, you have to do it every day. Without motivation, you will never have the drive to take action. And without action, you can never reach your goals and live your dreams. ←Successful People VS Unsuccessful People: What Do You Know? Excellent analysis. I can recognize 3 of these as my top motivators. About the dance between pain and pleasure, I get it but instead of waiting for the pain of not taking action to become strong and urgent enough, how can we simulate that effect to take action NOW? Apart from self-discipline, I haven’t found anything else that works. Would love to know your thoughts. Thanks. Hi Sumbul, for motivation to kick in, we either have to do it unconsciously, where it has become our habit to take action; or we have to do it consciously. And for conscious effort, there are many things you can do. Like reminding yourself about your purpose, get yourself motivated through songs, go through a ritual, etc. I would look up Mel Robbins and her 5 second rule. 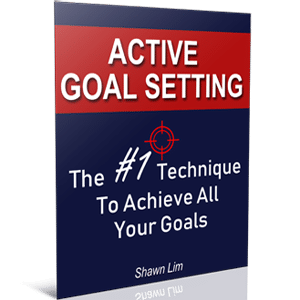 This will help you with taking action quicker and with more results. Motivation must come from within. Very thoughtful article, Shawn. I liked it a lot. The only part of it I’m not sure I agree with is the statement that “most people thought that all they want is money”. I don’t think that’s true of “most” people. I think many people want other things like health, a good marriage, or strong friendships just as much or more as they want money. I also think that a big part of the problem is that many people simply don’t think about what they want out of life or set goals. Once they reach a certain point in life where they are stable and relatively comfortable, they kind of go on autopilot. This phenomenon is only becoming more prevalent as technology creeps into every available corner of our lives, filling every moment that could have otherwise been used to think about that kind of stuff. You are right, Rich. People want to achieve financial success because of the freedom they get once they are rich. In fact, money is just the means to an end. What people truly want is not money, but the end results that money can buy for them. Cheers. Very true. I agree. I buy things not to actually have them but for the temporary pleasure of making the purchase. The ability to purchase gives me a the feeling of getting what I want. In my soul scratching I have discovered i carry great anger over feeling like I never get what I want. The pain of rejection has paralyzed me from ask ing or taking the risk. Making that purchase temporarily gives me pleasure but kept me from moving forward. It keeps me broke making it even more difficult to climb out. When I can not buy something I want it’s really painful to me. It is a cycle i go around and around. Very good article. I’m an artist who has mental illness. I’m so fired up I’m getting some recognition around the globe. I started 10 years ago in a mental hospital teaching myself to be a great artist. I too have to motivate myself, I think I want recognition from those who didn’t believe in me. We have to accept ourselves and our gifts. Art and creativity are mine. Motivation is easy when you become your art. I have coached others. Thank you and look for your talents and pursue them . Sometimes your motivation may not come from just one source. There can be a couple of reasons. And more importantly, to find your drive, you must act. Take action, engage, and get yourself involve. Then you’ll know what you want and what motivates you. Cheers. I think I know now what really motivates me. Thanks Shawn. Your article really helped me a lot. You nailed it. Hi Shawn, this is really really good and make sense, thank you. I think i knew what my motivation now. But the problem is how can i achieve that ? i am not to brave enough to do an action maybe. Very interesting article…I especially liked the question, “Why are you reading this article right now?” Hmmm, that’s one I had to think about it, and it boiled down to curiosity ( is that pleasure or pain? ). From your list, Passion seems to be the most important motivator because #1,2,4 and #5 will usually follow when you are passionate about something, especially if that something is #3. Hi Shawn, no 3 seems caught my attention. How can I derive a business from what motivate me? While you did a nice job on this article, you missed an important driver. You stressed in your article the things that drive people for SUCCESS. I attribute this to the fact that you look young and have not gained the wisdom of years and experiences, which is not a negative, it is just something you will learn over time. As we get older and have achieved success, many of us go through a transformation, one of wanting to live a life of SIGNIFICANCE. This is very different than being driven for success. We spend more of our time caring and focusing on others and our world. You hit it a bit on your #3, but philanthropists aren’t the only ones who are driven to help others. Many people living with significance donate their time and energy to help others, maybe not any money at all. Also with your #6, in my experience with myself and others, people living for significance are far more driven than those only looking for success. This comes from the wisdom of age and experience. Again, great job, and I look forward to following you as you follow your path in this marvelous journey called LIFE. Thank you for your great insight. Yes, significance is another factor that drives people to success, but in my opinion, most people will not chase for significance in the first place. They started somewhere, and long the journey, they discovered something more important and only then, they realize that significance is what they want to pursue.